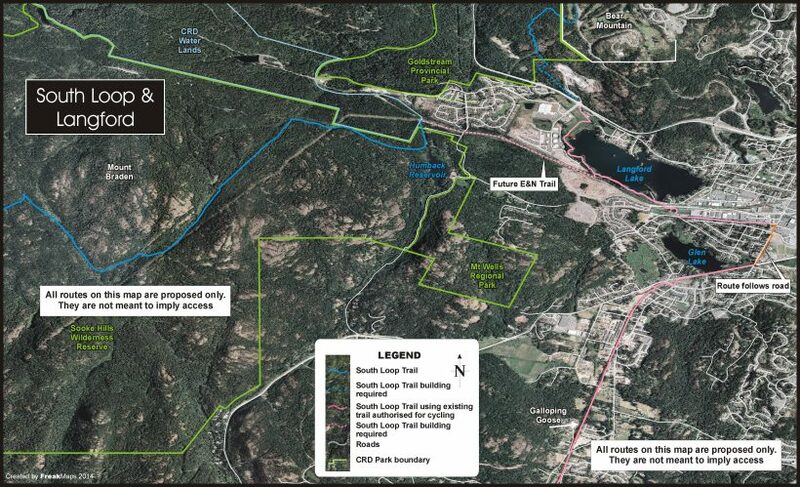 The South loop is proposed to travel down Bear Mt. and cross the Trans Canada highway at the West Shore Parkway. Then travel around Langford lake on the Ed Nixon Trail, which is already shared use. Then using the soon to be connected E&N/Trans Canada Trail, potentially travel into the Sea to Sea Regional Park.